The Single Bauble Necklace is the perfect accompaniment for tonal tops and dresses. 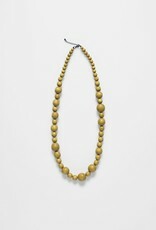 Made from mango wood, the beads are a mixture of small spheres and feature circle shapes. Each bead has been strung onto waxed cotton cord with an adjustable fastening. 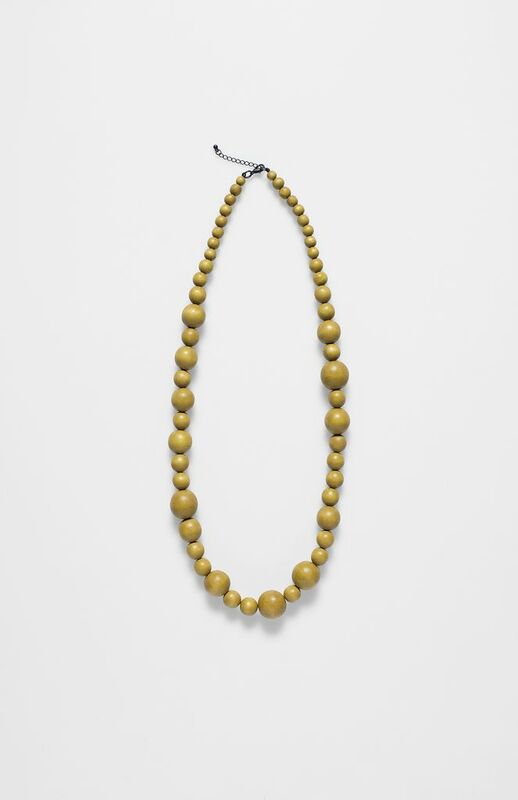 This long wooden necklace is light to wear and can take you from day to night seamlessly.